their units or issue them with a refund. that has been ongoing for more than a year. source Arabian Business continue reading….. This entry was posted on May 15, 2011 at 23:51	and is filed under Dubai Property dispute, Dubai Property Investors, Dubai Real Estate Scandal, Palm Jumeirah Dubai, Property Investor Dubai. 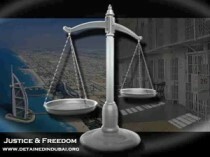 Tagged: Force Majeur, Palm Jumeirah Dubai, Property Investors Dubai, Real Esate Legal, Real Estate legal. You can follow any responses to this entry through the RSS 2.0 feed. Both comments and pings are currently closed.